We, as humans believe in things that could be considered “weird” – religions, superstitions, medicine remedies, odd diets astrology, magic, etc. All of which Michael Shermer addresses in his book, “Why People Believe Weird Things, Pseudoscience, Superstition, and other Confusions of Our Time”. In the beginning of the book, Michael Shermer introduces his readers to his earlier career and life and discusses certain topics throughout the book; Skepticism, science, history, philosophers, and problems in certain ways of thinking, racism, and belief. In chapter one, he emphasized the external validation through observation and testing which he believes is one of the key characteristics of science. In chapters four, five and six he goes into detail on psychic power, altered states of consciousness and alien abduction. He claims most believers in miracles, monsters and mysteries are not hoaxers, flimflam artists or lunatics. They are simply people whose normal thinking has gone wrong in some way. In chapter 13 and 14 he begs the question of history and pseudohistory. Growing up with Asian immigrant parents, I can say I have been exposed to their vast knowledge of natural remedies and herbal medicines throughout my lifetime. Whenever I would have muscle aches or headaches, I remember my mother would always try to give me a type of ginger oil to "cure" these aches and pains and I always thought it was a little odd. I never questioned it because it was all "natural" and it could not really hurt me. In many different parts of the world, I noticed there are types of plants people tend to gravitate more towards when it comes to relieving stress. For instance, lavender, vanilla bean, eucalyptus and mint. Studies have shown these oils use in aromatherapy aids towards reliving anxiety and depression as well as improve sleep. It works by stimulating smell receptors in the nose which sends messages to the nervous system and then to the lambic system which controls our emotions. Although this is not regulated by the FDA, I believe throughout history we have seen these remedies work like medication to relieve aches and pains. Being born and raised in Southern Jersey, I had always heard about a mythical creature from my childhood friends and even adults. The Jersey Devil originated with a person name Jane Leeds. She was also well known as Mother Leeds who had twelve children. After finding out she was pregnant with another child, she claimed that the child would be the Devil. Throughout history, this tale has been passed on and there have even been claims of seeing the Jersey Devil. Local farmers have seen the Devil hunting their livestock and there have also been reporting of tracks and screams. Despite living in South Jersey for most of my life and not having seen any abnormal creatures like the Jersey Devil, I still wonder if it lurks around the thick and puzzling forests of the Pine Barrens when no one is looking. I think many people outside of New Jersey may not know of this story so I definitely think its stunning how many residences here still believe in this historical folktale. I did my report on the book “Flim-Flam! Psychics, ESP, Unicorns and other Delusions” by James Randi. and myths and debunks them for the reader. and was making very broad connections. to seem more intelligent or have special abilities. the Mind’s third eye and says that we are living in the matrix. Thinking Fast and slow by Daniel Kahneman is a book that dives into the difficult task of looking at the way humans think and more specifically the way humans deal with irrationality. His book is essentially written in three phases following his research. 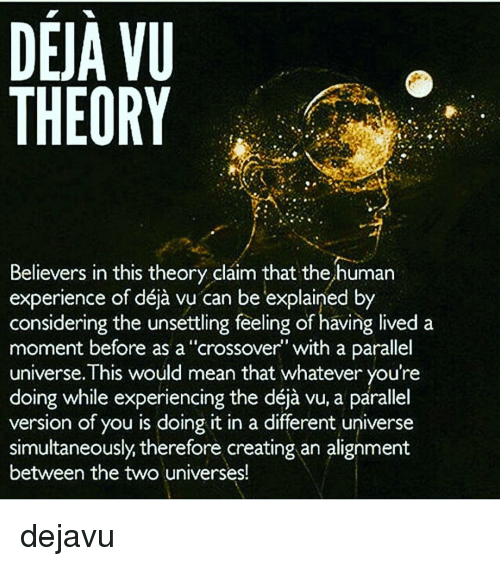 His first phase dove into the topic of our mishaps in reasoning that subconsciously happen to people sometimes.One of these effects looks at the way that irrelevant numbers have played a factor in peoples decision making. He also touches on the way that peoples decisions making is not always in the thought process of what economist would think consumer do that would be to maximize utility. The later part of the book covers Kahnemans last part research was deals with human happiness. Even Being more specific the book really focuses on the relationship of the two modes of thought System 1 and Systems 2. System 1 is the system that deals with fast instinctual and emotional feelings while system 2 deals with the much slower logical reasoning of the human mind. My favorite part of the book was its ability to describe what he calls the anchoring effect. The anchoring effect is a theory that looks at our tendency to be effected by and make decisions regarding the influence of random numbers. In short when he ran experiments people who were shown higher or lower numbers were just in line with giving higher and lower responses. The experiment showed on how much a environment could effect our decision making. In the lecture we looked at the ways we think and how there are different modes of thinking from people who think more selfishly to people who are more sensitive and think about others around them. It makes me wonder that if people really took to this idea that ones environment plays a large role in ones final decision what in this world could be changed and even from a economical stand point what people want compared to what they need might always be changed by the environment that they are immersed in. This book helped me understand why some humans make error in judgement and also reinforce the idea that no body is perfect and everybody is subject to making mistake. The book also served me as a self help book as it allowed me to look at maybe the reasons why I sometimes make the wrong judgement call on certain subjects. The book allowed me to maybe realize when I was relying to much on system one thinking while I could of maybe used more logic and slowed down the pace of things and really think about all the evidence and inputs before coming to a solution. 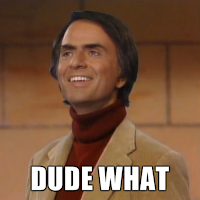 As I was choosing a book to read for this class, the only author I was familiar with was Carl Sagan. For this reason I decided, like many other students here, to read "The Demon-Haunted World: Science as Candle in the Dark." The book focuses on disproving paranormal claims using science, explaining why such claims exist in the first place, and how they can be prevented using Sagan's "Baloney Detection Kit". The main topic discussed us UFOs. One of the most interesting chapters was chapter 7 which focused on demons, witches, incubi and succubi. 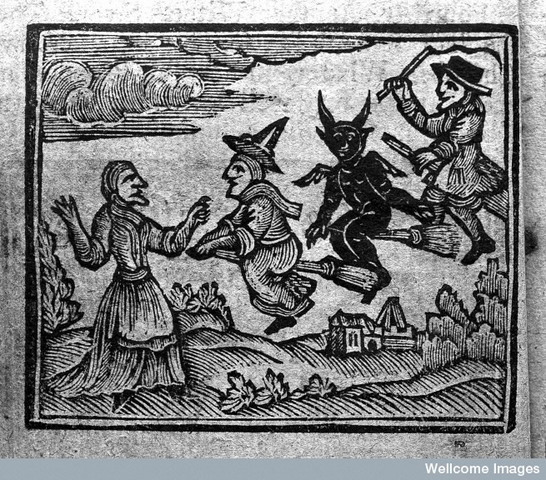 The main point of that chapter was to show that today's belief in UFOs, is extremely reminiscent of the medieval belief in witches, demons and other religious elements. For example, claims of communicating with aliens are very similar to medieval apparitions of Mary. 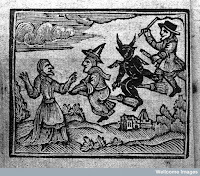 Likewise, eyewitness accounts of UFOs are very similar to accounts of witches, where in colonial times some people claimed they have seen flying witches blot out the sun. I liked this chapter because it showed that despite being a relatively new phenomenon, the underlying idea behind UFOs has been there for ages. I also found it interesting how it is not always UFO victims/witnesses who are to blame for this pseudo scientific phenomenon. Therapists often encourage such ideas and in some cases even implant false memories of abductions. Sometimes the reason for this is the philosophy that a therapist should never question their patients, as Sagan wrote about this, he showed how this philosophy can harm people. Sagan gave a great critique of such therapists and showed many examples where the therapist was to blame for UFO belief. Another interesting bit of the book was when Carl Sagan explained why federal documents about UFOs were often kept classified, or released with partial censored. Likewise, this also included secretive alleged UFO crash sites. He explained that such censoring was not a part of a global conspiracy but in the interest of protecting secrets from other governments. Sagan writes that requesting a document about Elvis Presley would contain just as much censored information as UFO documents. Interestingly, nobody thinks that Elvis is involved in a government conspiracy. Lastly, I enjoyed reading chapter 11 which contained letters written to Carl Sagan by UFO believers that have read his critique of the belief. The reason why I enjoyed them was that they were funny. It must have been tough for Sagan to read such letters after presenting such an elaborate argument against UFO believers. 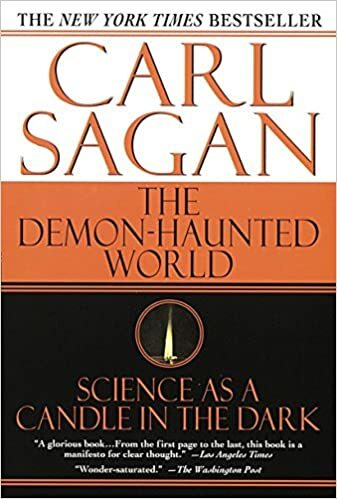 As I found myself looking at the book list to choose one book to work on for this book report, I couldn't be help but drawn to Carl Sagan's The Demon-Haunted World: Science As a Candle In The Dark. The title of the book just stood out to me. I was initially intrigued by learning of this so-called "demon haunted world" and was even more fascinated as to how science was the light that could expel these "demons" back into the darkness. After cracking the book open and reading it the past three weeks, I was pleasantly surprised with Sagan's brilliant writings. Sagan with great finesse has covered many topics related to pseudoscience and successfully debunks even the most mystical this world has to offer. Armed with his sword of science and skepticism, Sagan has cut through the ideas of UFOS, alien abductions, faith healings, the existence of Atlantis, crop circles, witchcraft, invisible dragons lurking in the garage, demons, apparitions, psychics, and the list goes on. Sagan accomplishes his debunking goals in the most elegant of fashion while simultaneously constantly reminding us all the importance of being a skeptic and filling us with excitement for the true science of our vast universe. Sagan's book was designed in a very orderly fashion. Each chapter goes into detail about the various above aforementioned pseudosciences. It is within these chapters that Sagan describes the particular pseudoscience and then mentions how people can become susceptible to the said pseudoscience. He successfully debunks the pseudoscience in question utilizing factual evidence. Sagan's primary objective is not to rashly put down those believers but, has a more noble end goal in mind. It was Sagan's desire to install a natural love for science in all people and demonstrate the importance of being skeptical while telling of the various dangers of pseudoscience. My favorite part of Sagan's masterpiece was located in chapter 13: Obsessed with Reality. Within this chapter, Sagan recalled an event that occurred in the late 80s concerning a young man by the name of Jose Luis Alvarez. The story went, that Jose had suffered a motorcycle accident in 1986, suffered a mild concussion, and awoke with the ability to channel a 2000 year old spirit named "Carlos". The entity that was known as "Carlos" would allegedly take hold of Alvarez's body when Alavarez's pulse would slow down to the point of death. Apparently, the entity Carlos was able to tell of prophecies and share his ancient wisdom to all. Carlos appeared on television in Australia in 1988. Prior to Carlos's arrival, the Australian media was greeted with press kits and a videotape that demonstrated the channeller's ability to summon Carlos. The press kit was especially interesting as it included details of the entity Carlos in America. It was notable the this kit included a video of Carlos appearing on Broadway theater and an interview with the Ney York radio station known as WOOP. After digesting this press kit, the Australian media was ready for Alvarez to channel Carlos. Carlos appeared on the Australian Today Show. During the show the host, George Negus, asked a few rational and skeptical questions of Carlos which yielded him being cursed by Carlos and was then was buffeted by a glass of water as the channeller stormed off the stage. The following days Carlos appeared on another television program in which a skeptic was revealed a magician trick in which one can cut off the blood pulse in one arm by squeezing a rubber ball in ones armpit. Carlos was furious and abruptly ended the interview. Shortly thereafter, the Sydney Opera house was full of admiring and wonder filled people eager to see the entity known as Carlos. The show thrilled the viewers and they where filled with excitement. After the thrills at the Opera house, Carlos was to appear on Sixty Minutes. All of Australia was surprised to at this episode as it essentially revealed that the entity Carlos was a hoax devised by none other than the Amazing James Randi! Sagan, in the later part of the chapter, discussed how Randi devised the whole ordeal and effectively "bamboozled" all of Australia. Alvarez was a young sculptor and also was one of Randi's tenants. Randi knew in order for his plan to work that he needed someone with no formal training in magic or public speaking. Randi simply asked Alvarez if he wanted to go along with his master plan and Alvarez agreed. "Carlos" was then created all while Alvarez has a rather hard to detect radio receiver in his ear with James Randi on the other end of the transmission. The press kit was full of non factual information that Australia was let down by their lack of skepticism to fact check. There was no radio station in New York called WOOP. The Broadway tape was courtesy of Randi having Penn and Teller doing a small favor for him. Alvarez simply went on stage in his white smock and had the audience applause and then Alvarez simply went off stage. The reasoning that Sagan included this was merely to express how vital it is for all of us humans to be weary and exercise skepticism when it is called on to do so. Sagan mentioned how "lucky" we were to have James Randi to expose and debunk the pseudo science behind psychics and channellers. He noted that it would be dangerous to rely simply on the Amazing Randi to do all the exposing which Sagan followed up by stating, "If we don't want to get taken, we need to do this job for ourselves." (Sagan, 241). As we discussed in this course, psychics and channellers are armed with the ability to be rather vague and applicable to many people. In a world full of those who have an innate ability to be vague, yet convincing and charismatic, it is the hopes of Sagan and Randi that we as a human race keep our wits about us. As history as shown us from people like "Carlos's" ancient wisdom, Peter Popoff's "faith healings", Nostradamus's extraordinary "foresight", and Noreen Renier's "Keen psychic ability" to locate the corpse of Charles Capel is that our world is full of mysticism and various pseudosciences and it is easy to fall victim being immersed in a gullible world without the light of science. Throughout Sagan's book, many people have fall victim to various forms of heuristics when considering things such as aliens, witches, psychics, and such. Skepticism is not just a toll of the past and Sagan made it clear that without using skepticism moving forward, our society would be essentially "on fire". Our children most find a natural desire to know the truth and love to see how magnificent the world is in tis scientific reality. It is vital for future generations to be skeptical so that the past mistakes of our ancestors will not be doomed to be repeated. Skepticism is very applicable to the modern day real world. We often hear reports of "fake news" in various media outlets. In a world were skepticism is not exercised by most of the human population and learning is considered "not cool" to many, it is not hard to fathom why so many people are astonished to find out they been bamboozled by an Onion news article they read on social media. I can only imagine that Mr. Sagan sheds a tear from wherever he is currently in the vast cosmos for every child who fails to cut through the various pseudoscience and in turns grows up to be the next "Mr. Buckley". 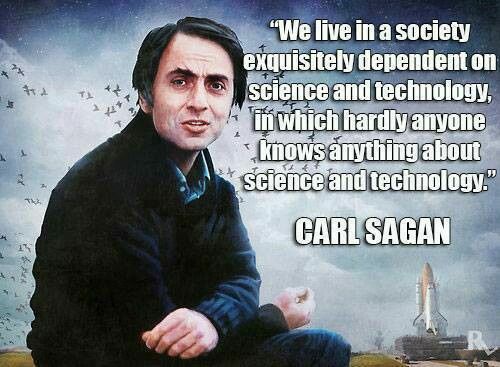 If their is one thing you take away from Sagan's book, is always approach everything with respect for science, an open mind, and be skeptical to detect you way through your way through the baloney that still exists in the world today. 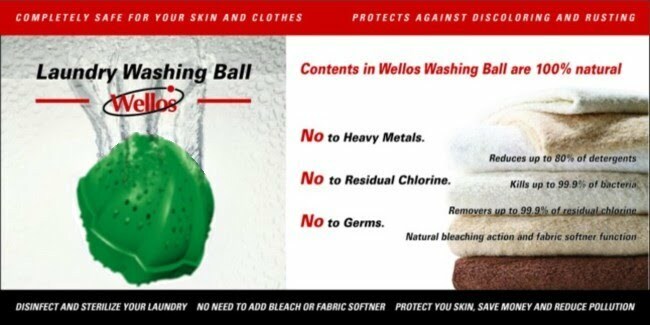 The laundry ball is a new product advertised as an alternative to regular detergent. It is often advertised on those telemarketing TV channels. Although there are many different types of laundry balls, their makers typically claim that they can clean clothes just as well as detergent, don't use any harmful chemicals, don't need hot water, and are reusable. Some types of laundry balls, like the infrared and magnetic version, advertise additional claims about softening the water, cleaning the water pipes, changing pH and breaking molecule clusters. "The powerful far-infrared rays from the WELLOS LAUNDRY WASHING BALL break water molecule's hydrogen-combinations into small clusters and force the small water cluster being activated to increase it's molecular motions, penetration force, and washing power. And it radiates negative ions to weaken the surface and inter fabric adhesion so that the dirt can come off easily without any detergent." "Powerful magnets - activate water clusters, softens the water and minimizes the size of the water molecule which helps with scale and rust removal of the washing machine and pipes." Obviously these claims are nonsense. Many people however report that these laundry balls do clean clothes. 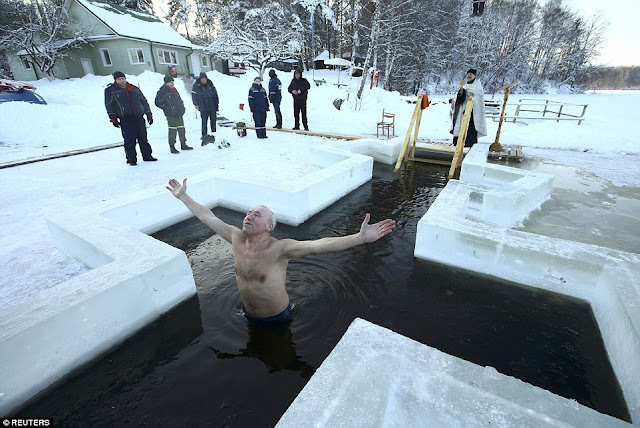 The effect is likely achieved by water. A study shows that laundry balls did not have a better cleaning affect than washing clothes in just water. I chose to do my book report on Carl Sagan’s “The Demon-Haunted World: Science as a Candle in the Dark” because I am a big fan of Carl Sagan and I have read a few of his books previously. This book was published in 1995, the year of my birth, with the intention of making the audience think more logically skeptically. It begins with Sagan remembering an encounter he had with his driver who asked him questions about extraterrestrials, channeling, Atlantis, and more. The driver was excited to hear a scientist’s view point, but Sagan disappointed him with facts and realistic explanations. He goes on to talk about how science has made such great strides in the world curing so many diseases and all of the technological advances that have been made at a cost of course. Sagan doesn’t understand how even after so much scientific enlightenment pseudoscience and superstitions have remained a staple in human lives. He believes that pseudoscience and superstitions are born from the misunderstandings we may have, for the things that are difficult to understand and without enough evidence to make a conclusion we make our own. This is supported by mass media and times even the government making it difficult to remove. Sagan explains that almost everything can be explained by science in some form or another and it has a “built in error correcting machinery” meaning no science is perfect but it’s accuracy can be measured. Somewhere in the science there is fact, data, and evidence but when hopes and facts get confused pseudoscience slips in. Throughout the book Sagan touches on different pseudoscience topics like aliens, demons, witchcraft, and more. Each chapter covers a different topic where he shares his experiences, opinions, and relevant stories always sticking to his view that science is the answer and he wants to educate his readers. He concludes the book by talking about how science has the potential to improve so many aspects of the world and that in order to be free of the world’s constructs we must think for ourselves. My favorite part of the book was the last chapter. Throughout the book he talks about so many interesting concepts from the potentially pervasive actions of aliens, the horrifying witch trials, hallucinations, and even how to detect what he calls baloney. The final chapter he points out that science is the key to fixing the world’s political, social, and economical problems. He claims that every major decisions in the way of life can be considered experiments like decriminalizing marijuana or investing in new technologies. The key to fixing the problems we face today is by using science and experimenting things on small scales until an answer is found. He accurately, in my opinion, states that humans are afraid of people who are different, and we bully those who are different. We are easily manipulated and suggestible by the right kind of leader at the right time. He then gives a short summary of Thomas Jefferson’s life an individual who fond of science, history, and skepticism. Jefferson believed in the freedom of speech and that people should think for themselves. Sagan wonders where the Thomas Jefferson’s of today have gone. He explains how the constitution and bill of rights was meant to change with the times but can so easily be misinterpreted and used in a different form. Sagan says that inventions, new ideas, and creativity are a form of freedom. Breaking out of the status quo and thinking for yourself. Questioning what you are told and looking for your own answers is the best way. Most importantly he says that if we are educated and have our own strong opinions the people in power will work for us but if we are weak and unable to think for ourselves we are pawns. This is my favorite chapter because this book was written in 1995 and now in 2018 everything he said is relevant. We are failing to think for ourselves to question what is happening and demand change. The government has taken over, there is so much corruption and it has occurred because we have failed to think for ourselves. We are educated by schools that are trying to erase certain parts of history, we are provided the news the government tells the media to share, we are believing what we are told to believe. This isn’t how it should be we should look for our own answers and our own resources. This book relates to the whole course because Sagan covered a lot of the topics we covered in the lecture slides and a lot of the information was parallel. It also conveys the message that a lot of the pseudoscience and superstitions we have can be explained by science as so many of the topics we learned about were. And how most of the time pseudoscience is born when something is difficult to understand, or an answer can’t be determined immediately. I think this book really has inspired me to be skeptical and think critically for myself. To step out of my comfort zone and look for my own answers. Follow the link to see one of Carl Sagan's last interviews where he talks about this book! his knowledge in both psychology and superstition, while presenting it from many different perspectives. could find at least one thing in this book interesting. because it delved into the way children think based on the theories of Piaget. distinguishing between thought and reality when it comes to themselves in relation to the external world. to be skeptical of what we are being told when we become adults. then I can be more understanding of what they believe. source of information that is a on smaller scale from everything I learned in this book. I also included a flyer I made about "How to Adopt a Black Cat (Without Getting Bad Luck)"
Last semester, I would meet up with my study group on Saturday evenings to do accounting homework. It wasn't uncommon for us to get exhausted very easily as we all worked Saturday mornings at our jobs. Naturally, we would get side tracked from our study sessions and start talking about all sorts of topics. During one of or last minute "cram sessions" to prepare for an upcoming exam we all tapped out. With great frustration we all slowly accepted out fate and began to goof off. Somehow the topic of Voodoo managed to pop up. My friends, whom I studied with, were from the Dominican Republic and Haiti and they immigrated here as children. During that evening they told me their stories of Voodoo in their homelands. They shared how voodoo has affect them and other members of their family. My one friend told me her aunt became possessed by the spirits while under a Voodoo curse. Ultimately, a Voodoo priest had to amputate one of her aunt's leg back in Haiti. These stories sparked my interest in the Voodoo for sure that night. (My friend also had us YouTube some of the Voodoo dances, this is just one example). On the topic of Voodoo spiritual healings I find I am skeptical. I believe that adrenaline may push some being healed to feel refreshed for a bit in light of the ceremony of being healed. It is essentially a psychological placebo affect I would believe. In Voodoo the chicken is said to heal those afflicted with spirit possession. I do not see a correlation between a chicken and healing one of certain aliments. As in all faith healing situations, I am more prone to accept a more medical based and scientific answers as opposed to miraculous healings. After hearing incidents like Peter Popoff's mic in the ear, I approach all faith healings with a skeptical eye. Voodoo healings is no exception for me. I have to admit that Voodoo is quite a captivating topic and I would like to learn more about it. I may personally view Voodoo spirits and spiritual type healing as a pseudoscience but, I do realize that it part of a religion and many people accept these spiritual beliefs. I am grateful to my friends that taught me more about Voodoo and I hope that in the future they will share more stories about the Voodoo spirits. Y2K was one of the biggest end of the world scares of my lifetime, people thought simply because the millennia was ending so would the world. They believed that all the computers of the world would crash, planes would fall from the sky and every missile would be launched. The reason people believed this is because the real outcome was not predicted by everyone so people didn't know what was going to happen. The only real truth from Y2K was that computers would fail, this was only a half truth though because most would likely just reset their internal clock. People who worked with computers had to spend days updating every system just so the computers would continue to work properly. A few years ago I had a fascination with tarot cards, so I tried to learn how to read them. I struggled to memorize what every card meant and how they interacted with one another. After a while I was able to do a reading of the cards. After the first reading it seemed so accurate, but upon further examination I found that the meaning behind the cards was so general that it could apply to most people and that I was in fact simply relating it to my own life. Vampires have sharp fangs and drink human blood. The only way to kill them is by stabbing them in the heart, wearing garlic, or burning them. They can turn into bats to sneak away and can't go out in the sun. There's millions of books, movies, tv shows, etc. with different type of vampires and as a society we seem to be a little obsessed with vampires. Through the movies twilights millions fell in love with a vampires. The idea of vampires actually originated in Europe. People were uneducated about death and disease back then. A decomposed body somebody tends to make the teeth and nails look longer and a dark fluid can leak out of the mouth which was mistook for blood. So people believed that the dead would come alive and drink the blood of the living. There was a vampire panic where people would kill and burn suspected vampires. This evolved into the vampire we know and fear today. There are even people who consider themselves vampires now and make modifications to their body and drink animal blood. I'm more scared of those people I think. I grew up in Ukraine, a post-Soviet country that is somewhat backward when compared to other European countries. There I spent a lot of time with my grandparents who, like a lot of Ukrainians, were strong believers in traditional medicine. As a kid I was exposed to these medicines and at the time I thought of them as quite reasonable. Even if I didn't see any possible logic behind it, the credibility of my grandparents and their ancestors was convincing. Now, as I look back at these remedies/treatments I find myself laughing at how silly and absurd some of them seem. Since most of the traditional medicines are based on harmless herbs/vegetables, they are not as dangerous as cancer quackery (discussed in my previous post), it is still important that people are conscious about this topic and choose their treatments wisely, especially if they are afflicted with a serious condition. It is also important to note that these medications have been adopted after many years of experience by its users. Sometimes, due to these traditional medications, scientists find real medicinal compounds in the various herbs/remedies used. I vaguely remember a few of the remedies my grandparents used for common illnesses, seeing as it is somewhat related to this course I thought I would share them. A "treatment" for a typical cold was a glass of vodka with 2 spoonfuls of black pepper. When parts of a body were in pain, a crushed cabbage leaf was often applied to the affected area as it had "natural healing abilities". Iodine solution was applied to joints affected by arthritis. The stings of the stinging nettle plant, along with bee stings were considered good for overall health. While in a sauna, hitting oneself with dried oak leaves was thought to improve circulation and help with skin health. These are just some traditional medicines that I remember seeing as a kid. They might have varied from community to community. In case of a serious illness, conventional medicine was preferred. Arguably one of the most damaging pseudosciences is cancer quackery. As defined by National Council Against Health Fraud, cancer quackery is the promotion of false or unproven remedies for profit. I am very upset that charlatans promote such fake treatments for their personal gain. For this post, I decided to explore different forms of cancer quackery and hopefully spread awareness. It didn't take long finding the first website that spread dubious cancer therapy claims. Simple google search of "cancer treatment" showed an ad for peggysuesurvived.com. 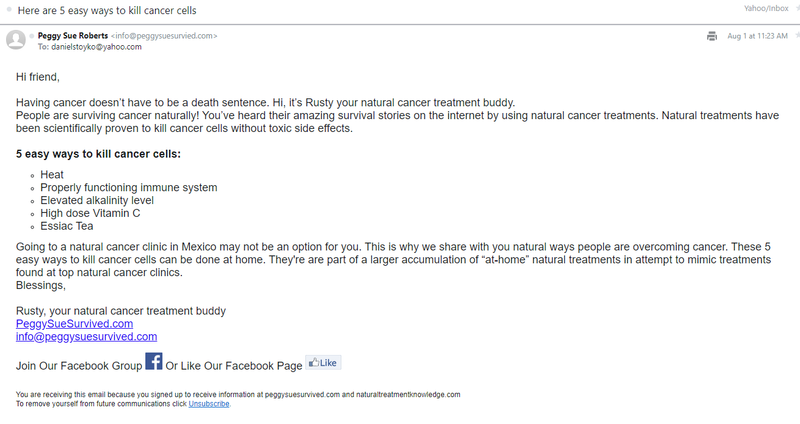 This website tells the story of Peggy Sue, who had stage 4 cancer and experienced a full remission after she starting "natural, new cancer treatment" at a Mexican clinic. The conventional oncologists who gave up on her were stunned at her recovery that left no trace of cancer. The website is filled with various personal accounts and testimonials of people who survived using these new therapies. I joined their email list in order to receive more information regarding their magical cures. I received several newsletter-type emails promoting the treatments. One of such claimed that Essiac tea (basically herbal tea), and Vitamin C were viable treatments. After looking up more of such clinics I notices a pattern, all of them were located in Mexico, often in or near Tijuana. This turns is done to avoid the strict regulations imposed by the US government. The close proximity to the US border allows wealthy, uninformed, American cancer victims easy access. The websites of these clinics often contain list of therapies they offer. One of such clinics, Oasis of Hope lists many questionable therapies, among them, most alarming: sodium bicarbonate therapy. A lot of the entries on that list are pure quackery. Although, thinking about sodium bicarbonate as a cancer treatment may be humorous, it is important to remember that some people are actually tricked into believing this and as a result waste their life savings and put themselves in incredible danger. I hope that awareness about these scams spreads and less people are affected by them. I am an aspiring accountant and have been a bank teller for two years of my life. It goes without saying that I am no stranger to my numbers. On a daily basis I find myself working with numbers; whether it be at my job at the bank, managing my finances, measuring how much water I need for my ramen, how fast should I go on the Black Horse Pike so that I can get somewhere quickly and not get a ticket, and the list goes on and on. What is rather interesting to me is that their is a great deal of pseudoscience associated with my good friends, "the numbers". There is a pseudoscience called numerology which appears to deeply be related to horoscopes and other astrology and also superstitions related to certain numbers across different religions and cultures. In light of these situations and pseudoscience, these numbers were assigned "deeper" meanings. Some numbers may be associated with positive things, such as good fortune. On the other end of the stick, some numbers were associated with negative aspects. So in essence people find them selves asking, " what do these numbers mean?!" First, I would like to discuss numerology. 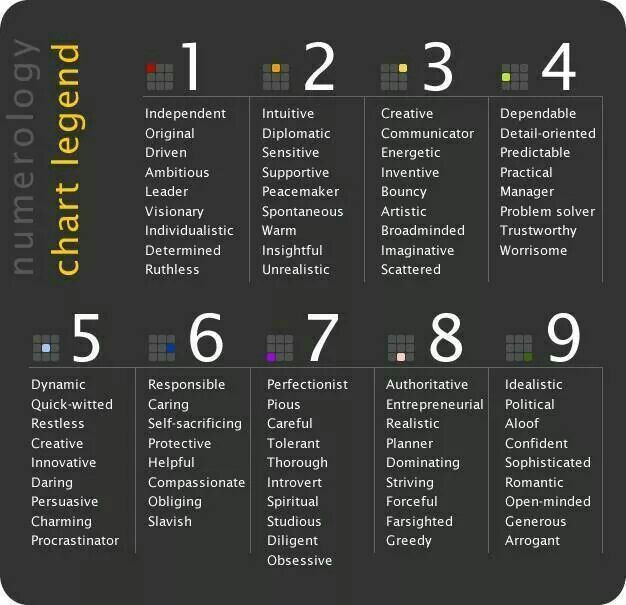 Numerology is the belief that numbers have a mystical deeper meaning and can explain personality traits. In this study, everyone has a "life path" number based on their date of birth. Basically, one would add up the digits associated with their birthday to be assigned a life path number. I will do my birthday as an example. I was born on 2/26/1992. The calculation would be: 2+2+6+1+9+9+2=31 and 3+1=4. Thus, my life path number is "4". According to a website on numerology(I will post the link below the paragraph) "4"s seek " a sense of stability and security". When I read this can I readily agree that I do seek stability. However, who doesn't wish to be secure? This trait can be considered a very vague statement and can be applied to anyone regardless of their life path number. It is the art of crafting differentiated, yet widely applicable, personality traits that is robustly similar to the techniques utilized by psychics, horoscopes, and graphology. Being vague can lead to recipient of these assigned numbers, signs, or psychic readings to making some judgements off of heuristics. I would like to further note, that I have met people born on the same day as myself. Despite having the same life path number as these individuals, I found that my personality overall was vastly different than those whom I shared my birthday with. Never the less, all of us our human whom share some similar aspects. Lastly, I would like to point out that numbers don't create good or bad luck per say. As a teller and my years prior as a cashier, I've seen many combinations of numbers over the years. I've seen the dreaded "$6.66" appear on someone receipt for a transaction multiple times. Despite, "666" being the mark of the devil, no bad luck has come of me or the person buying their hot dog and popcorn. I've seen bank account balances and checks made out for the same evil number and nothing "evil" of the sort has occurred to them. In Chinese culture the number "8" is associated with good fortune due to the number when spoken in Chinese sounding similar to the word for "fortune". I've seen people who lived in houses with "8" in the address have rather poor finances. Numbers regardless if they are assigned a "deeper meaning" or not, will always appear in various forms. I would say I am just rather skeptical that these numbers have an correlation or causation to any such "deeper meanings". Regardless, I do find it interesting that numbers found their way into pseudoscience and it is fascinating to look at what other's thing about certain numbers. The idea that aliens walk among us or abduct us humans is rather fascinating. Growing up I certainty was drawn to the pseudoscientific belief that aliens did have a presence here on this planet. As an adult I realized I have developed into a far more skeptical man than the boy I once was. Therefore, I am not so keen on believing that aliens, as actual organisms, have made an impact on this planet at all. However, this is not to say that "aliens" don't exist as a form of pop culture and have make a mark on the minds of many by invoking a sense of wonder and fascination about their existence. What I find to be interesting topic of self-reflection after taking this course is how I became to be enthralled with aliens and accepted their reality as a child in the first place. One of the most prominent influences of me accepting the ideas of that aliens were real as a child was my father. My father to this day, without a doubt, accepts that extraterrestrial lifeforms are real. This may be striking for some to believe but there is a bit of rational to why he as an adult still believes. Quite simply he was diagnosed with a severe schizophrenia years ago. At the time of his diagnoses, I was beyond the notion of aliens as was an adult myself. Never the less, my father before he was engulfed with his mental illness, he certainly was prone to various fantasies and other eccentric beliefs. Growing up I first hand witnessed his sleep deprivation in my teen years, as this was a man who was working two full time jobs to support his family. All of these factors all correlate to a person whom may potentially believe in the existence of aliens. Now back to how this all affected my beliefs. Simply put, he bought a lot of alien related products. 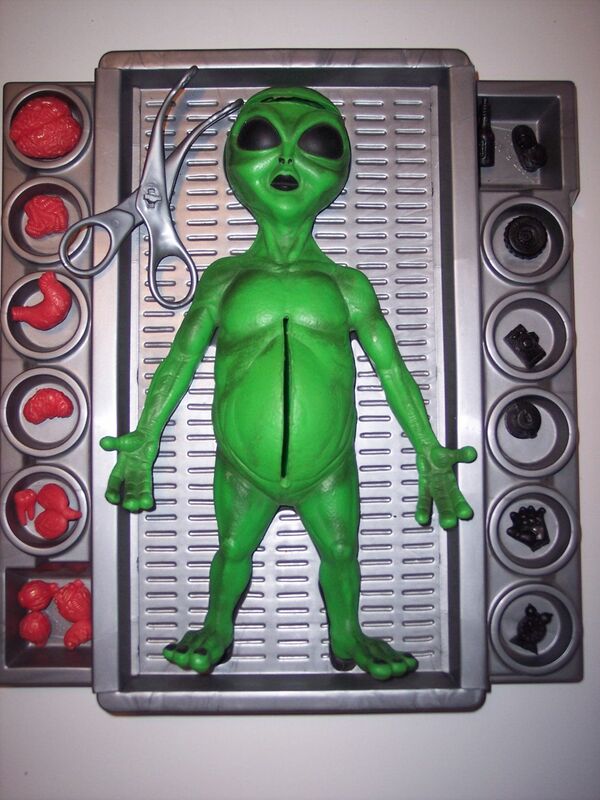 My childhood bedroom had stuffed alien toys, movies about aliens, and even an alien dissection kit. As a wonder susceptible child surrounded with alien goods and a father whom would entertain my fantasy about aliens, it is not surprising looking back how I came to believe that alien entities were a part of my every day world. My family will attest that I was a child that was glued to the television set. The 90s was an amazing time for cartoons and movies and I loved growing up in those times. Not surprisingly, aliens were all over the media at this time. We had movies like Men In Black, The Fifth Element, and Star Wars. Even the Men in Black had a cartoon series as well. It goes without saying but, I ate this media content up after I would finish my elementary school homework. I noticed my early teen theory (which I will discuss shortly) about aliens was highly influenced on these forms of media and I began to form my own pseudoscientific view on aliens. As mentioned before my views on aliens changed during my early childhood days to my early teen years. As a child I accepted the "traditional" form of extraterrestrial life being the short little green or grey organisms with rather large eyes (essentially the alien depicted in my dissection kit seen earlier). My view on extraterrestrial life changed as I started to believe that it was possible for these extraterrestrial entities not to be humanoid in nature at all but, rather a parasitic insect-like organism. I used to believe these highly intelligent insect-like creatures from space would find a host (usually a human or other mammal) and borrow its body into the host organism's central nervous system and "hijack" the body of the host. In essence, the aliens were surrounding us humans at all time and were always conducting research on us. Why did I believe this? I was simply a victim of my on imagination at the time. Using biology and fantasy I "filled in the gaps" of want I wanted to believe about aliens. My theory is easily debunked by the sheer fact that no alien organisms have shown up in any autopsy of humans or mammals throughout medical history. Without any evidence of their presence, one can not conclude that the alien organisms exist. However, it is still fun to watch movies about alien xenomorphs. In the modern day, I do not believe that aliens have visited us as there is no current credible evidence of their existence that I deem tangible. 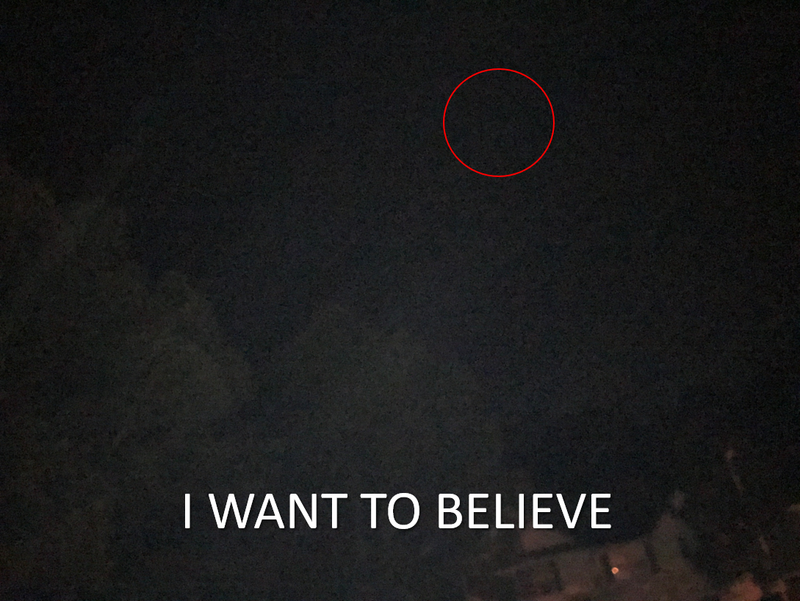 It there a possibility that they may be out there in this vast galaxy? There is potential for a debate their but unless their is physical evidence backed by true science, we can not assume that their existence is definite. What is definite, is aliens act as a popular form of sci-fi entertainment and that much is true. The aliens may not affect us directly in terms of actually existing but their effects are in the minds of the wonderers. I can say that I have been affected in this medium as I had a childhood full of fantasy and fun because of the worldly "existence" of aliens as a factious form of entertainment. Others may have had a much more negative experience with aliens as they may believe their abduction stories has caused them quite a bit of duress. Never the less, I believe their situations can be explained by psychology and scientific rationalizations. It is vital to understand, that many people can be caught up into believing these pseudoscientific beliefs like alien abductions and understanding how they becoming captivated with these fantasies may reflect how our human society has failed some of us how to rationalize mystical items scientifically. I can determine my absorption into the alien world was mostly due to sociological factors of pop culture and my own father's beliefs about extra terrestrials. Maybe understanding the cause of the aliens in my own life may explain how others may have found themselves in similar situations. Above is a video posted The Morning on YouTube in which Calvin Parker discusses his alien abduction. What do you think about his story? Immediately as I saw this book on the list I knew it was going to pull me in, this book is all about why people believe in things that to a skeptic sound crazy. The book starts out with Sagan getting off of a plane and into a car with a driver that was sent for him. In this car the driver asks Sagan many questions which he believes are very scientific although they are all pseudoscience. 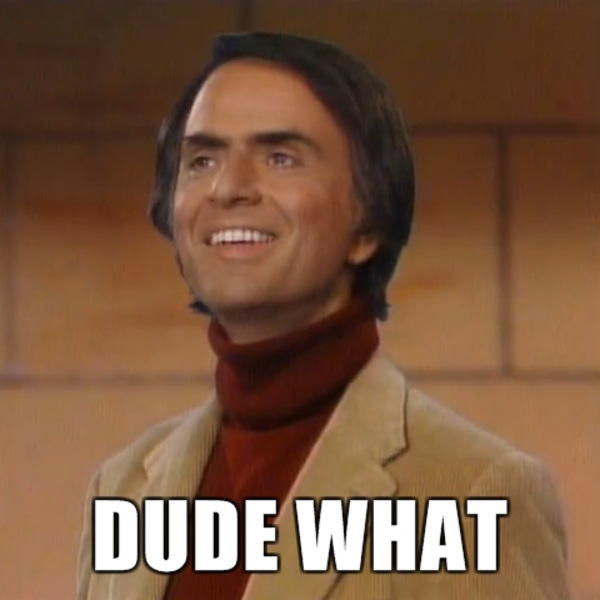 Over the course of the book Sagan discusses why people believe pseudoscience. There is an emphasis on critical thinking and how it is a tool to combat pseudoscience. My favorite part in the book is from chapter ten the dragon in my garage, the imaginary conversation that Sagan has is very reminiscent of children playing a game they made up and adding rules in their favor when they want to. In my experience this is how people react when someone tries to challenge what they believe. There is no winning with a person who has this kind of attitude because anything that you say to dispel their claims gets met with a new factor that they conveniently didn’t tell you about before, such as the UFO they took a picture of is invisible. This book relates to the course because it deals with a lot of the same pseudoscience examples that we learned about in the lectures. The baloney detection kit in this book can be used in real life to analyze pseudoscience and help ourselves to disprove it. It may not be able to be used to convince others on a wide scale but it can be used on a personal level. The baloney detection kit may be able to be taught to other people o help them identify the baloney they believe.